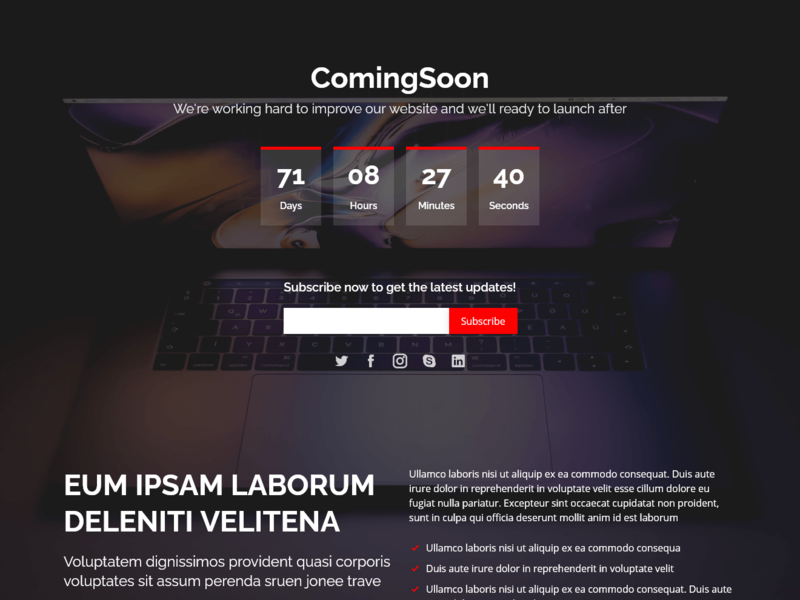 ComingSoon is a simple HTML Bootstrap template for free. This theme built with responsive Bootstrap 3.3 framework. ComingSoon is an easy way to show your clients that your site is under construction. This template suitable for corporate, professional and multipurpose.